The Victorian era is a time of scientific innovation and exciting prospects. Ghost and goblins as a science? Paranormology? Bah! Why, one might sooner embark on a trip to the moon! Grosvenor Lane Ghost chronicles my first experience with the Professor, my mentor and employer, and the extraordinary glimpse into his world where haunted houses are the least of his worries. 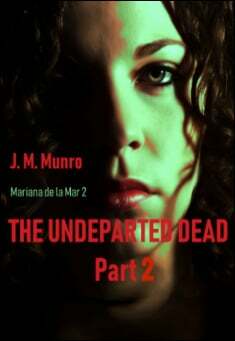 This is the first book in the Paranormology series. It may be some time before this manuscript sees the light of day, perhaps well after I am long gone from this world. As such, I have decided, given the frustrating rate of progress, to write down this story so that my experiences might not go with me. I was only a young lad when I first met the Professor. It was probably for the best, since it meant my preconceptions were limited. Maybe that was why he hired me. As I think back, I was barely a man, dressed as well as my few remaining coppers would allow, sitting at the bench receiving a private lecture. For the past week I had been settling into my new found occupation, learning quickly about this and that, applying whatever skills I had learnt previously. It was late in the day when I had been called aside from my duties. The Professor had been rabbiting on about his personal theory pertaining to other-worldly phenomenon. I shook my head, not quite sure what he was getting at. Truth be told, I had not really paid attention over the past hour and I had not the foggiest idea of what he was going on about. I held up my hand in a bid to slow him down, but he continued unabated. He has that habit, as I would find out, of continuing on whether anyone was listening or not. It is like he has a bladder in his brain, swollen and distended, and once the valve is released his thoughts gush out to relieve the pressure within. For a while I sat, listening to the ramble in a quiet hypnotic state, letting his words flood about me. It was only after a few minutes that my brain decided to catch up with current events.